If you are looking for something fun to do with your finger nails or toe nails this Halloween, here are some easy nail tutorials that you and your girls will love. 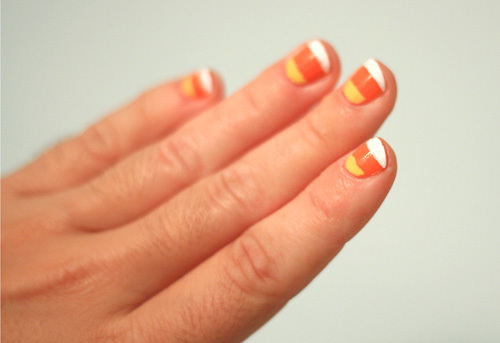 Julie Ann Art will show you how to make neat striped candy corn nails. Last year Char used vinyl to make these cute jack-o-lantern nails. I already have orange nail polish and black vinyl on hand. These ghost nails from Beauty By B were done with polish, but you could easily create them with vinyl as well. And switch the blue out for black and this swirled nail polish technique from Nailed to the Wall would make some pretty wicked spider web nails. If you are up for a little challenge, I love these Frankenstein nails from Swatch and Learn. 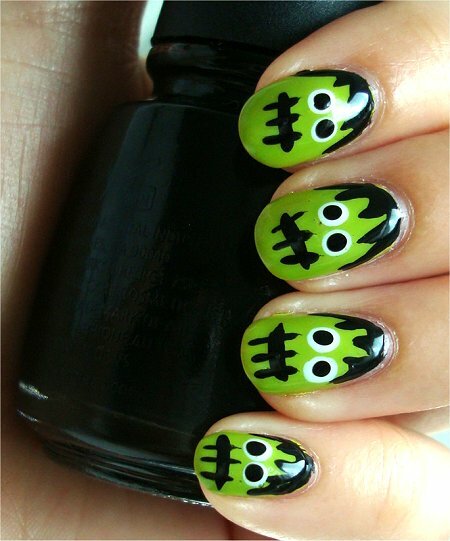 And Huffington Post has a round up of Halloween nail tutorial videos that is full of great ideas. I think we have all of the colors we need to do any of these...except Frankenstien. If you try them, shoot me a picture so I can share it!